Welcome to Motorparks, where we present you with an extensive selection of new Vauxhall Astra GTC cars at prices you will find hard to believe. One look at the Vauxhall Astra GTC and you are sure to be in awe of the car’s urban chic styling. Step inside the vehicle and the treats keep on coming, highlighted by a luxurious sporty interior design that will ease you into every road trip. On top of all of this, the compact body of the new Vauxhall Astra GTC means that the car is a joy to drive whether in the city or out around the country. 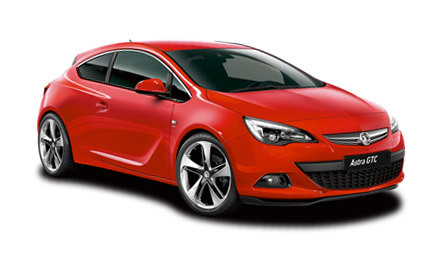 Don’t delay, make an enquiry about any of the new Vauxhall Astra GTC cars you see below online now. Have you also checked out our huge range of used Vauxhall Astra GTC cars, which includes quite a few models with barely any miles on the clock?